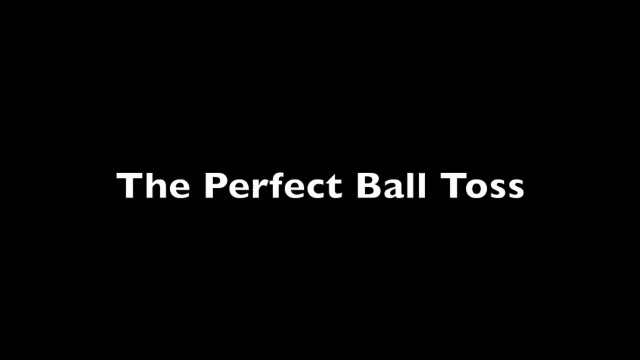 Maybe you thought you had seen everything on the ball toss. Maybe you thought you would never have a consistent toss. In this original article John Craig details the critical, overlooked elements in building the perfect, consistent toss. Like achieving a still balanced lower body. Like the Palm Side hand position. Or where to look and what to do with your eyes. A powerful new addition to our teaching library on the serve. And check out the half price deal on John’s whole serving course, just for Tennisplayer subscribers. John is a former Division I Collegiate player with over 35 years of playing, coaching and teaching experience. He is an Elite member of the USPTA, and has been an avid player, student and coach since his passion for tennis flourished in 1976. Based in Orange County, California, John has developed hundreds of students into quality players over the course of 3 decades. 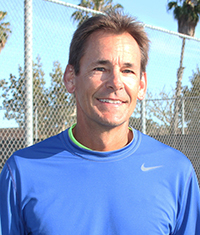 John has held a variety of prestigious tennis positions, including serving as the Director of Tennis at the legendary John Wayne Tennis Club in Newport Beach, CA. John was also the founder and Director of The Edge Tennis Academy, a high-performance Junior Development program, also in Newport Beach. In addition to developing his latest project - Performance Plus Tennis, John is also a Pro at the Newport Beach Tennis Club. Start building your professional serve today with the Performance Plus Serve Foundation Program! 18 Detailed video lessons guide you step-by-step to develop a professional serve foundation! The program features dozens of lessons, drills and concepts unlike any other program. Each lesson features practice drills and exercises to properly develop and refine each essential component of the serve! "I just watched the first 5 segments, and they are gold!!! I’ve been teaching for 30 years and I love to learn and check out a lot of info online. Just watching the beginning of your course, I’m like Wow! It’s clear, concise, and so easy to apply for students…I can’t wait to watch the rest." "I was finally able to view the rest of your serve foundation program. As a coach, I’ve bought products from a few coaches online and picked up some different ideas and tips. I feel like if I had seen your program first, I would have been satisfied with that. You have an excellent progression and your phases and wording really bring out the points. I love learning and teaching and seeing my student get that "lightbulb moment". You’ve definitely helped me increase those moments with your course". Exclusive Offer for Tennisplayer Members! 50% discount off the regular price for the month of June, plus free access to his "Advanced Techniques Serve Program".